Trout Creek Condominiums offers year ’round lodging in the northwest section of Michigan’s Lower Peninsula. Our central location puts us close to Petoskey, Harbor Springs and Mackinac Island. Nearby Sandy Lake Michigan beaches, Million Dollar Sunsets, the Little Traverse Wheelway bike path and championship golf courses are all close-by. 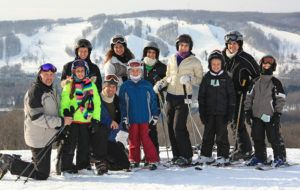 Offering accommodations near Nubs Nob and Boyne Highlands Ski Resorts which provide the Best Skiing and Snowboarding in the Midwest. Check out the Nubs Nob Webcam. Only a 2-3 night minimum, unlike other condos. There is so much to do in the Harbor Springs ~ Petoskey area.